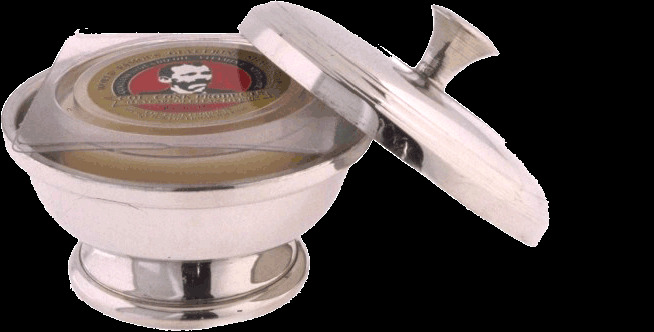 Treat yourself like royalty with this English pewter shave bowl. This compact mirror finished bowl sits on a pedestal which makes it easy to grip in the palm of your hand. The matching mirror finished handled lid keeps the shave soap out of sight when not in use. The interior of the bowl and lid have a satin finish. Col. Conk 2.25 oz. shave soap included (scents will vary). Boxed.